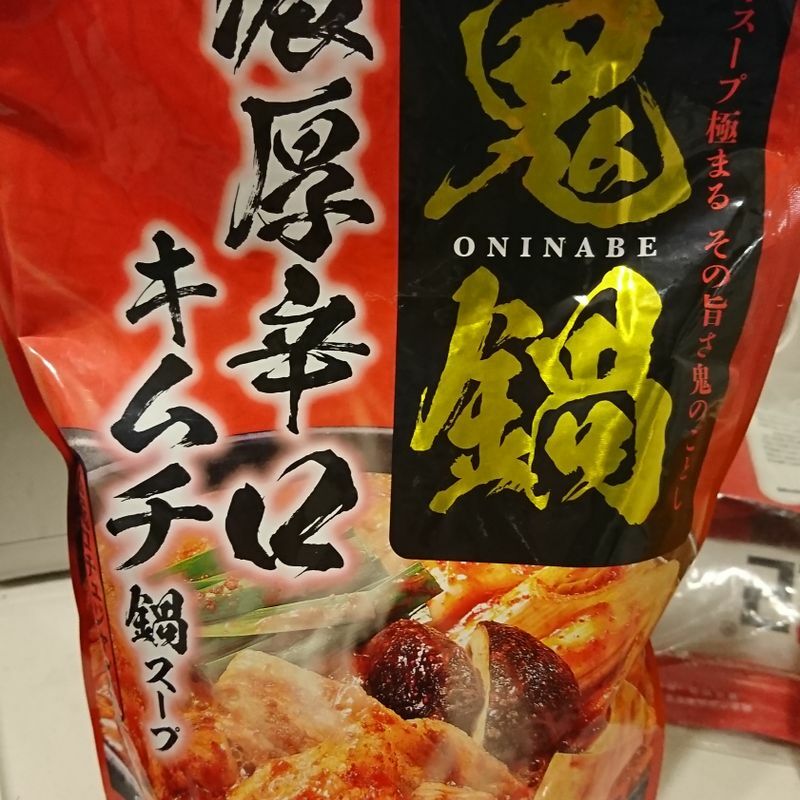 I bought this package of nabe soup because of how attractive it looked. 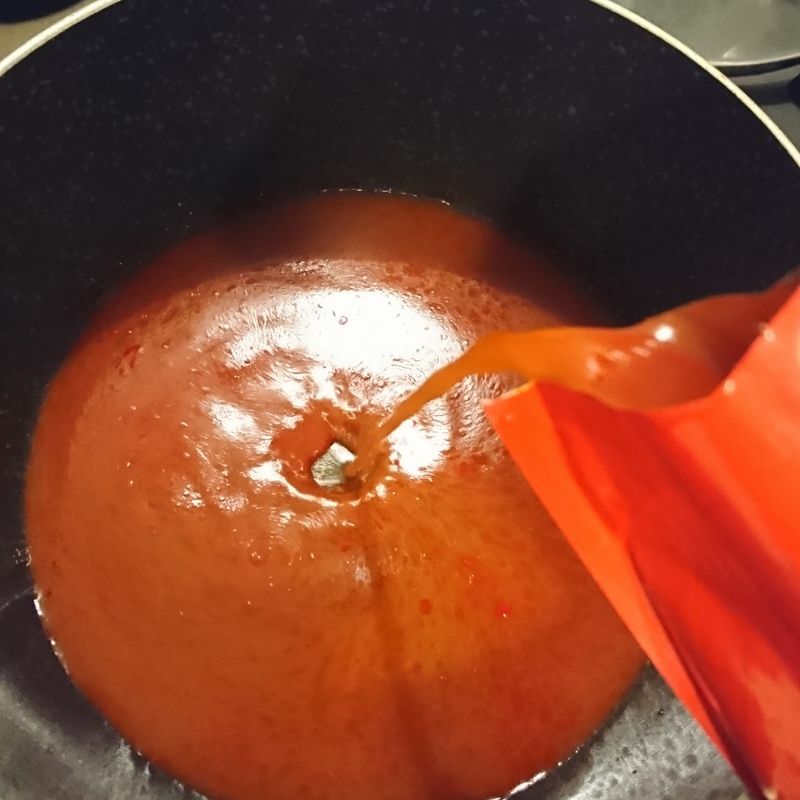 The red spiciness, a "rich spicy flavour", and with a name like Oninabe (the demon's hotpot), it must be able to satisfy my love for spicy food... so I thought. Well it just was not spicy AT ALL. Sure, my standard for spicy is higher than average, but even for normal standard, this is nothing but a tiny kick. I had the whole meal and did not drop a single bead of sweat, and that alone should tell you that this oninabe does not live up to its name. When you can get other kimchi nabe for 150 yen, it is hard to say that this 250 yen soup pack is worth it.